Unlike the bustling towns of Pensacola, Destin, and Panama City Beach, the eastern end of our ’Cola to ’Cola guide offers a chance to slow down, get to know Old Florida, and experience the natural landscapes the way they were intended—unspoiled and beautiful. These days, it’s hard to find a place where you can truly get away from it all. Well, there is a place where things move at a slower pace, where there are no traffic lights, the sand on the beach is white as snow, and the Gulf waters are warm and clean. That place is Mexico Beach on Northwest Florida’s Gulf Coast. Situated just about an hour east of Panama City Beach and an easy drive from the Northwest Florida Beaches International Airport, Mexico Beach is a far cry from a tourist entertainment mecca. Life is more laid-back there, with quiet beaches through much of the year and summers that make the uptick in visitors just seem like one big community coming out to enjoy the sun. Though you won’t find any huge outdoor shopping centers or novelty attractions, that doesn’t mean Mexico Beach lacks entertainment. The piece of unspoiled nature from Mexico Beach and heading east has been dubbed the “Forgotten Coast,” thanks to the area’s disdain for high-rise condos and busy streets, but the people of Mexico Beach prefer to call their town “The Unforgettable Coast”—as memories made there will last a lifetime. Mexico Beach, known as “The Unforgettable Coast,” is a relaxing alternative to the busier beach destinations to the west. Its charms include a collection of locally owned shops and restaurants, three miles of white-sand beach, abundant fishing and wildlife, and family activities. Once you arrive in town, check into your headquarters for some R and R. This might be a charming house or a condo rental near the pristine beaches, unique Gulf-front accommodations, such as the El Governor Motel, the Driftwood Inn, Buena Vista Motel, or Gulf View Motel, or even a campground for those traveling by RV or packing tents to enjoy the great outdoors. The El Governor RV Park and Rustic Sands Resort Campground offer visitors an even better chance to connect with the land. On the Unforgettable Coast, you’ll also connect with each other. This is the place for people who love to spend sunny days lounging on the beach, talking and laughing with friends and family, playing in the waves, building sandcastles, and riding bikes. Watersports such as stand-up paddleboarding, kayaking, and more are popular, with rentals available at Crazy Waverunners and Parasail behind the El Governor Motel and Happy Ours Kayak & Bike Outpost in nearby Port Saint Joe. 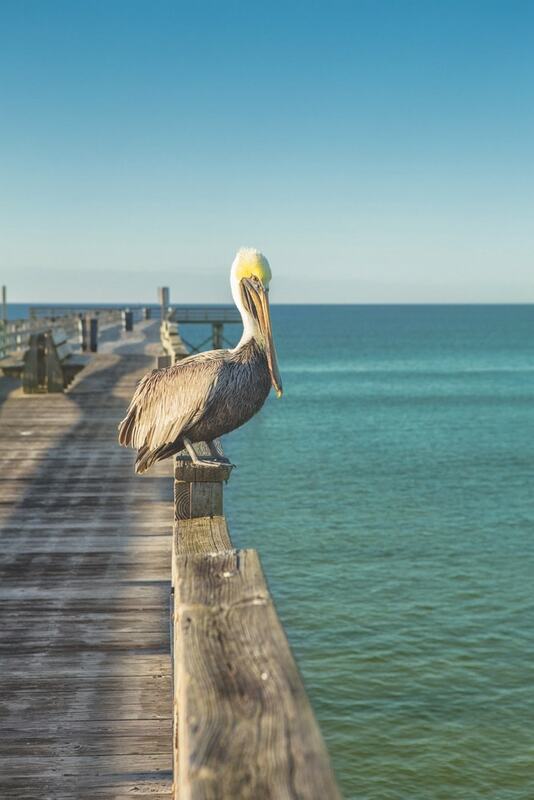 With several protected wildlife areas and state parks nearby, Mexico Beach is also a perfect home base for those seeking to unplug and spend time reconnecting with Mother Nature. The town is surrounded by eleven stops on the Great Florida Birding and Wildlife Trail, where notable species including snowy and piping plovers, bald eagles, and many more can be seen. Paddling through crystal clear springs and hiking along sandy flatwoods trails are pastimes enjoyed at many area parks. Econfina Creek, Wakulla Springs State Park, Saint George Island State Park, Dead Lakes Recreation Area, Saint Vincent National Wildlife Refuge, and Saint Marks National Wildlife Refuge are all within an easy drive of Mexico Beach. These and more offer visitors the chance to explore a variety of ecosystems—from tidal pools and beaches to pine forests and marshlands. The anglers in the family are certainly in for a treat, as the Gulf waters and lakes near Mexico Beach are teeming with wildlife and some of the nation’s best sportfishing. Red snapper, grouper, king and Spanish mackerels, sailfish, cobia, lionfish, and wahoo are just a handful of the species that can be found just off the beach. This is in part thanks to the Mexico Beach Artificial Reef Association (MBARA), which has installed nearly two hundred human-made reef sites since its inception in 1997. Annual summer tournaments, such as the GollyWhopper Classic, the Mexico Beach Offshore Classic, and the MBARA Kingfish Tournament, bring teams from all over the country to try their luck at the best catches and cash prizes. All year long, Mexico Beach Marina is available to help with rentals, charters, and fishing gear. After a long day on the beach, shopping at locally owned boutiques, or enjoying all the outdoor fun in Mexico Beach, it’s time to grab a bite! A must-stop is Killer Seafood, whose famous fish tacos and special Simmerin’ Sauce have gained national recognition—you’ll just have to try them for yourself to see why. (You’ll also want to snag a basket of hush puppies while enjoying this laid-back coastal dive.) The Fish House is another great stop for local fare, with seafood baskets and Southern cuisine that will make your mouth water. Toucan’s of Mexico Beach offers the best view of the Gulf of Mexico, with beach favorites and boat drinks to match. Meanwhile, Mango Marley’s, Crazy Beach Pizza, and 40th Street Pizza are great family-friendly stops. Shoobies, MB Sweets and Treats, and Tommy T’s are the preferred dessert locales—the latter also has an arcade and a gift shop. For coffee and breakfast, make your way to Sharon’s Cafe (be sure to try the homemade biscuits! ), Graba Java Internet Café, or Castaways Southern Cuisine. 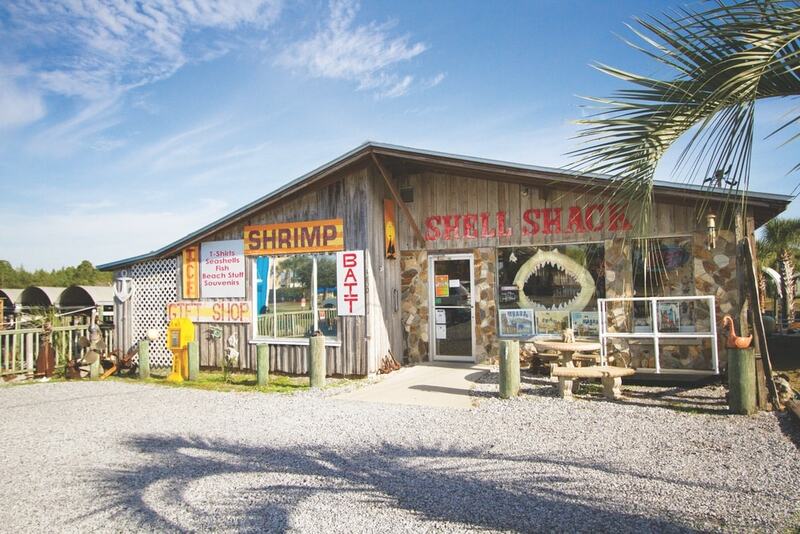 Of course, if you want to cook up your own fresh catch of the day right in your vacation rental, the Shell Shack has you covered with fresh shrimp, fish, and more. Those who visit Mexico Beach almost always return, craving the simple life at the beach that the town offers. The chance to spend quality time with those you love, all while enjoying some of the most beautiful beaches in the world? It’s the perfect recipe for an unforgettable vacation. Mexico Beach is just the beginning for those searching for a nostalgic Old Florida beach feel on their next trip. The little beach town also lies on the edge of the central time zone, while just across it lies neighboring Port Saint Joe. (The two towns partner to throw an epic New Year’s Eve celebration yearly, during which guests can enjoy free shuttles to local bars and even ring in the new year twice in one night!) Port Saint Joe is a little bigger than Mexico Beach but no less charming. 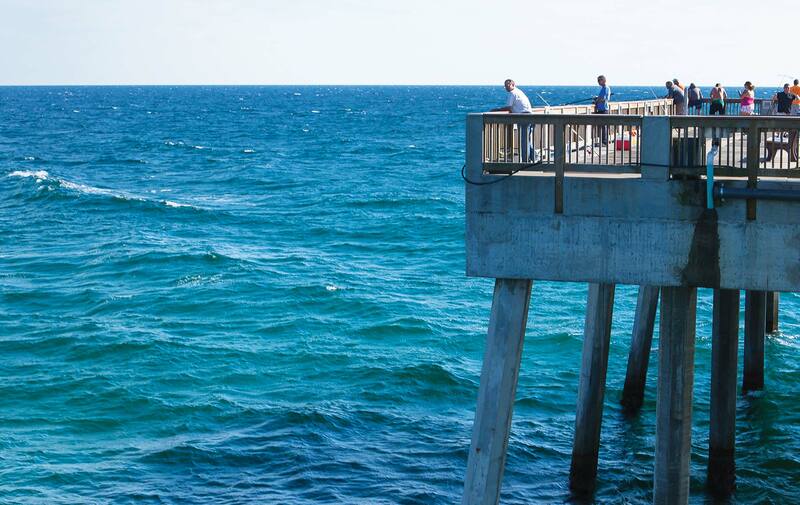 Take in the breathtaking panoramic views of Saint Joseph Bay before you dive into this Florida fishing town and enjoy eclectic shops, dining, and history—the first Florida Constitution was signed here in 1838. Take a stroll through Port Saint Joe’s historic downtown shopping district to explore locally owned stores, restaurants, and art galleries. Libations and live music are never in short supply here, with a modest but fun evening and nightlife scene that includes places such as the Haughty Heron, the Thirsty Goat, St. Joe Bar, Paradise Craft House and Grill, Lookout Lounge, and Shipwreck Raw Bar. This is the place for people who love to spend sunny days lounging on the beach, talking and laughing with friends and family, playing in the waves, building sandcastles, and riding bikes. Port Saint Joe boasts docks that are available to the public, along with the Port Saint Joe Marina. A big draw in the summer and early fall months is snorkeling and playing in the Saint Joseph Bay, a natural outdoor playground that’s perfect for adventurers to explore. Some visitors also like to dig up succulent scallops and cook their haul later that same day—it doesn’t get any fresher! Climate change and fluctuations in local waterways have made scalloping trickier than it used to be, so the season varies each year, and there’s a limit on how many you may harvest (to keep the population thriving). Oyster farmers and fishermen in the area have also seen changes, but the area remains true to its Old Florida fishing town roots and celebrates each year with the annual Oyster Cook-Off in nearby Apalachicola in Franklin County. Nature is still king here. “Gulf County has left much of its natural beauty intact and allows for a true Florida experience,” says Godwin. “Water surrounds us and is a way of life here. 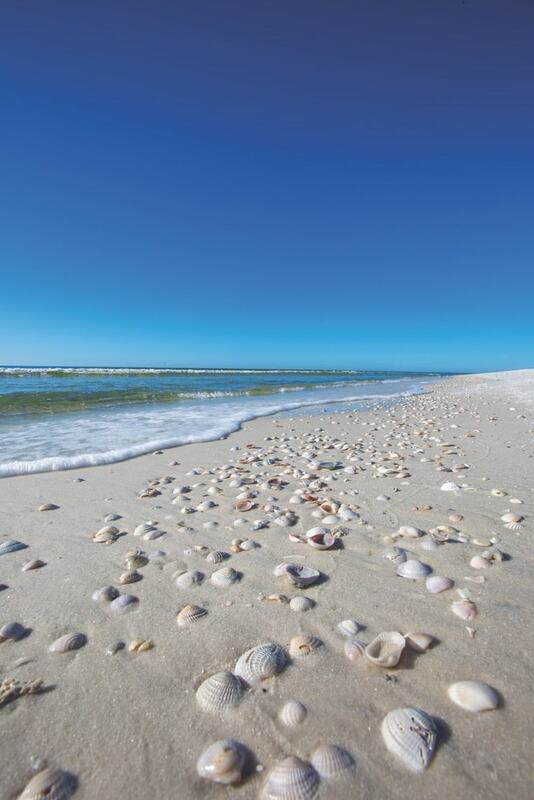 We have beaches with different characteristics and personalities along the Gulf of Mexico. Saint Joseph Bay is a sanctuary for an abundance of wildlife and a playground for outdoor lovers. Indian Pass Lagoon boasts beautiful grass and marsh flats. The Intracoastal Waterway connects to tranquil Lake Wimico. The mysterious Dead Lakes are otherworldly, with prehistoric-like cypress trees and wildlife.” Paddleboarding, kayaking, horseback riding, hiking, and mountain biking are popular pastimes for locals and visitors alike. 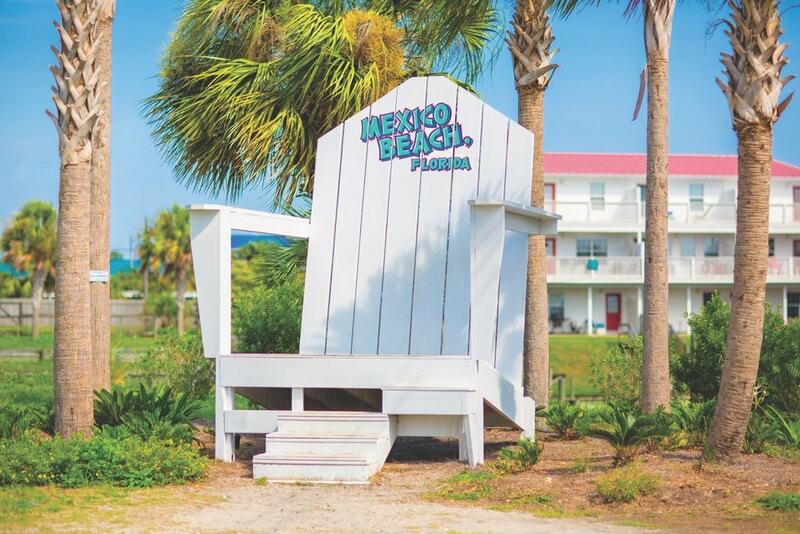 Don’t miss a photo op in “the big chair” at the Mexico Beach Welcome Center! The Dead Lakes lie north of the coastal towns in secluded Wewahitchka (a Native American name meaning “water eyes”). This small community is also known for something unexpected—the country’s best tupelo honey. You thought it was from Mississippi? It’s a common misconception, but the sweet delicacy is so named for the tupelo gum trees that grow along the Apalachicola and Chipola Rivers. Other states might claim to make tupelo honey, but the real thing is only commercially produced in Northwest Florida. Skilled beekeepers extract the sugary substance and jar it raw, unprocessed, and not mixed with any other substances—“the way honey should be,” according to local producer L.L. Lanier & Son’s Tupelo Honey. Wewahitchka has celebrated with an annual Tupelo Honey Festival since 1941 and even holds a Tupelo Honey Queen competition (called the Miss Tupelo Pageant today) each year. For those seeking a Florida golf retreat in the area, the St. Joseph Bay Golf Club offers a well-maintained course with incredible scenery. This eighteen-hole par-72 course is fun for players of all handicaps, but be prepared—water features on fourteen holes and local wildlife, such as bobcats and hawks, can make it a challenge. The club also has a driving range, a restaurant, and a pro shop that offers rentals if you left your clubs at home. 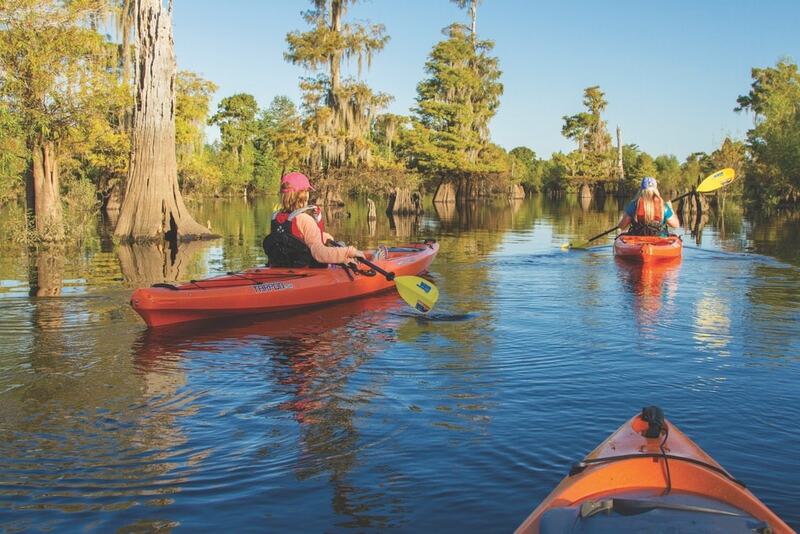 Kayaking or paddleboarding through the Dead Lakes Recreation Area gives adventurers a chance to experience another side of Northwest Florida’s natural landscape—prehistoric marshes and waterways teeming with wildlife. 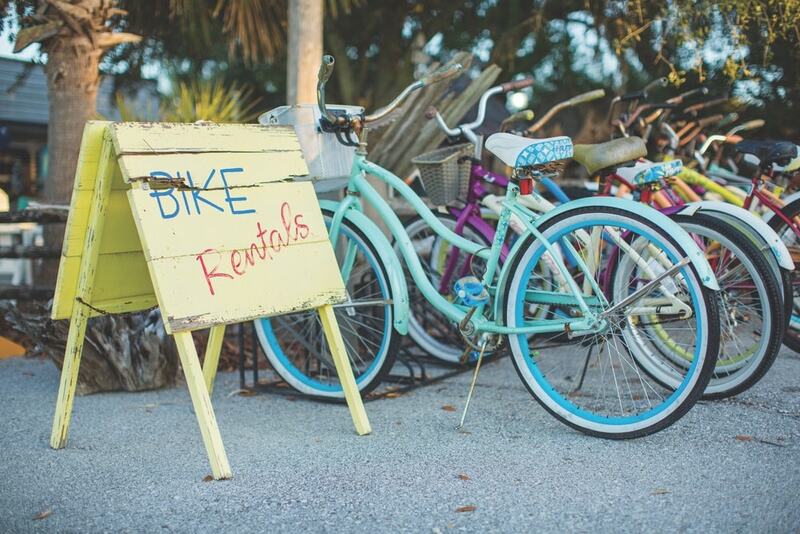 Venture a little farther east past the Saint Vincent National Wildlife Refuge, and you’ll find yourself in the charming historic town of Apalachicola. Yes, it’s an unusual name with Native American origins meaning “the land or people beyond.” Locals are proud of their home—and so should be anyone who enjoys the brilliant white-sand beaches that line the Northwest Florida Gulf Coast. That dazzling sugary sand is all thanks to the Apalachicola River, which, at the end of the Ice Age, carried quartz crystals south from the Appalachians and deposited them into Apalachicola Bay, where finely ground crystals were then spread by the tides and washed onto shore. A bed-and-breakfast is the way to go for accommodations near Apalachicola, where guests can experience true Southern hospitality and coastal charm. The Coombs Inn & Suites, Blue Moon Inn of Apalachicola, and House of Tartts Guest House each has its own merits, and all are located in the historic district near downtown. No matter which community or beach you visit, Northwest Florida’s Gulf Coast has something for everyone, from COLA 2 COLA®! Although visitors love to see the bay views, docks, and fishing boats, Downtown Apalachicola is a treat. Art lovers will find some quirky but high-end galleries and shops, such as the Artemis Gallery, Apalachicola Sponge Company & Smokehouse Antiques, Downtown Books & Purl, Katie McFarland Pottery, Bowery Art Gallery, Richard Bickel Photography, Sea Oats Art Gallery, Market Street Antiques, and many more. Dining mostly celebrates local seafood, as expected. Some popular stops include the Owl Cafe, Caroline’s River Dining, Up the Creek Raw Bar, Boss Oyster, Hole in the Wall Seafood, Tamara’s Café, and Gormley’s at the Gibson Inn. The Old Time Soda Fountain is a quaint dessert and souvenir destination, while the Tap Room at the Owl Cafe also serves up an impressive selection of local beers in an intimate pub atmosphere. Saint George Island, the barrier island that creates Apalachicola Bay, is a quiet beach retreat that many locals will visit for the weekend. This thin strip of land contains private vacation rentals, two inns, and a campground, along with two state parks and a charming lighthouse. The Cape Saint George Light offers admission each month on full-moon evenings for guests to take in panoramic views of the Gulf, the bay, and Saint George Sound. Saint George Island consistently ranks in lists as one of the top beaches in the country. Visit MexicoBeach.com, VisitGulf.com, and FloridasForgottenCoast.com to learn more or plan your trip today! 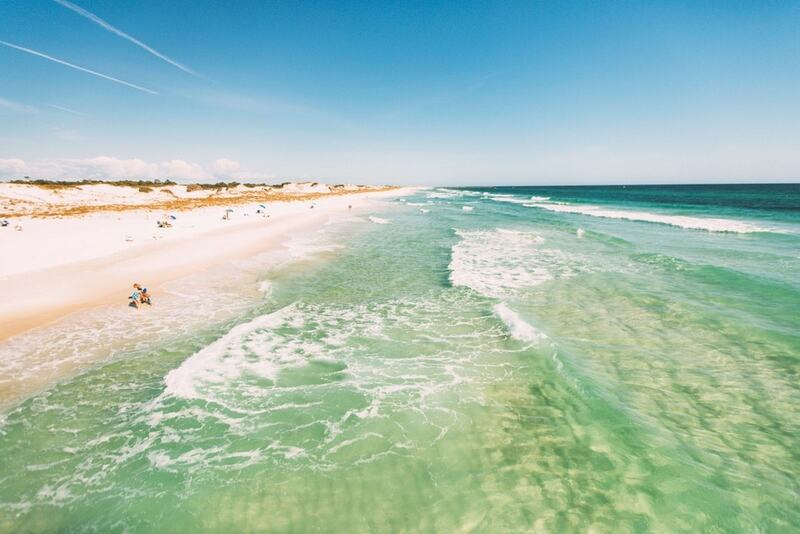 Read more about the pristine beaches from COLA 2 COLA® when you explore our guide to South Walton County and Panama City Beach here and the guide to Pensacola and Destin here!